AMI-AUS provides software that combines the best of both worlds - tailored as bespoke office automation solutions for particular industry applications, available as set-price modules which can be configured to your business' way of working. 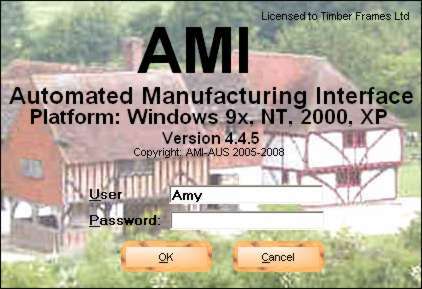 Our flagship AMI software is the result of many years experience working within the timber-framed building industry. Customer contact details. Used to produce quotations, mailing labels and letters against. AMI allows different categories of contact details, for example the person or company ordering a building may be different to the ultimate client name and site address. 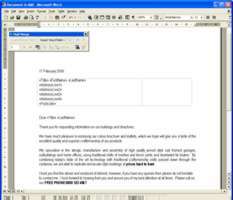 AMI calls Microsoft Word to produce letters, forms and reports. AMI comes with 17 standard reports and all other printed output is taken from templates, stored in the AMI document database, and configurable to your requirements. AMI requires that you have a valid copy of Microsoft Word installed on any AMI workstation. 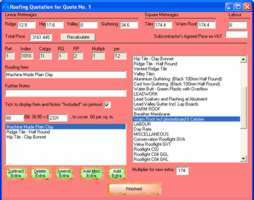 Building Estimator Produce detailed quotations for supply and assembly of fully specified buildings, from a customised price list set up to your requirements. Different price list volume numbers let you update and keep track of changing prices over time. Groundworks and Roofing Estimators Add a detailed groundworks and\or roofing price to an existing building quotation. 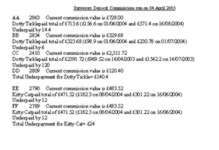 Price list volumes fully configurable. 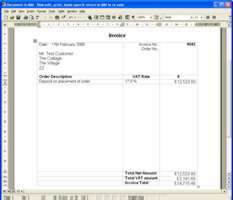 Order Processing Convert an estimate into an order, produce invoices and track payments. 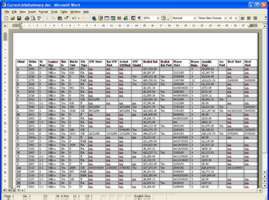 Job Tracking Track the stages and tasks required to fulfill an order - particularly helpful if you also undertake the groundworks, frame assembly, subsequent fitouts and roofing phases of the build. 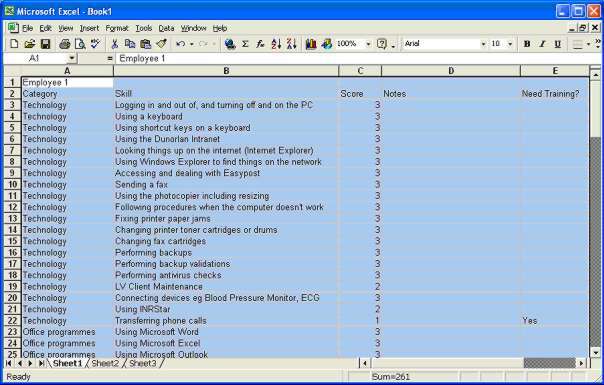 AMI comes with 7 standard Job Tracking reports. 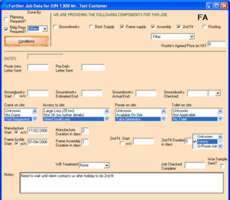 Appointment Diary Make appointments for customers and staff, eg surveys, site inspections, meetings, visits to the workshop, etc. Anything booked in the AMI diary also shows on the AMI main screen. Remedial Works Define remedial jobs for existing òrders, and track them to resolution. 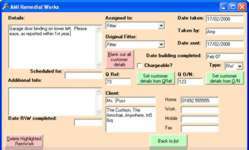 Any remedial works booked in for a particular building also show on the AMI main screen. Commissions Manage sales commissions based on job payments schedules. 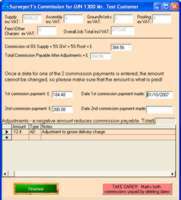 Commissions schemes are configured to your requirements. 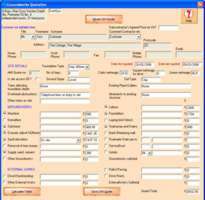 Ad-hoc reports Can be produced upon request for an additional fee. AMI can be installed as a standalone product on a single workstation, or as a server-based master database being accessed by workstations on a local area network (LAN). 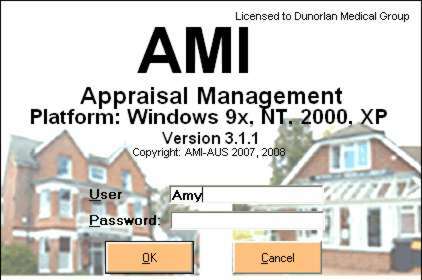 ii) through AMI's dedicated upload service via the internet if both the laptop user and the office have a broadband connection, and the office has or installs a Virtual Private Network (AMI consultants can help you with installing a VPN, often for as little as the cost of an additional network card on your server, and configuration of your network access protocols). Each AMI module is purchased with a one-off license fee, with a single annual renewal (no matter how many modules you are running). The license for each module allows installation on an unlimited number of workstations at a single site. 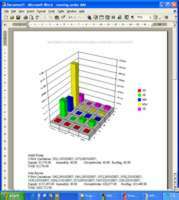 Standalone and/or networked workstations: Windows XP with Microsoft Word 2000 or 2003. Server: Microsoft Server 2000 or 2003. Server: NT Server 4, or Server 2000 for remote access uploads. We also offer an Appraisal Management solution, which assists personnel managers during the staff appraisal process. AMI's Appraisal Management software allows personnel managers to configure questions for their staff to answer during a self-appraisal exercise, and then store and check the answers against an expected level of response. This allows the identification of areas of training need. Questions can have different response criteria depending on the staff members' role within the business. Sets of question and response data can be kept seperately, depending on how often you would normally perform a staff appraisal (usually annually). 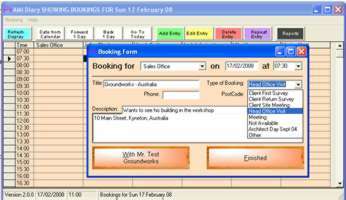 The software consists of a core module, with an optional reporting module (users without the reporting module can still copy and paste output in a grid format to Microsoft Excel or Word for further analysis).